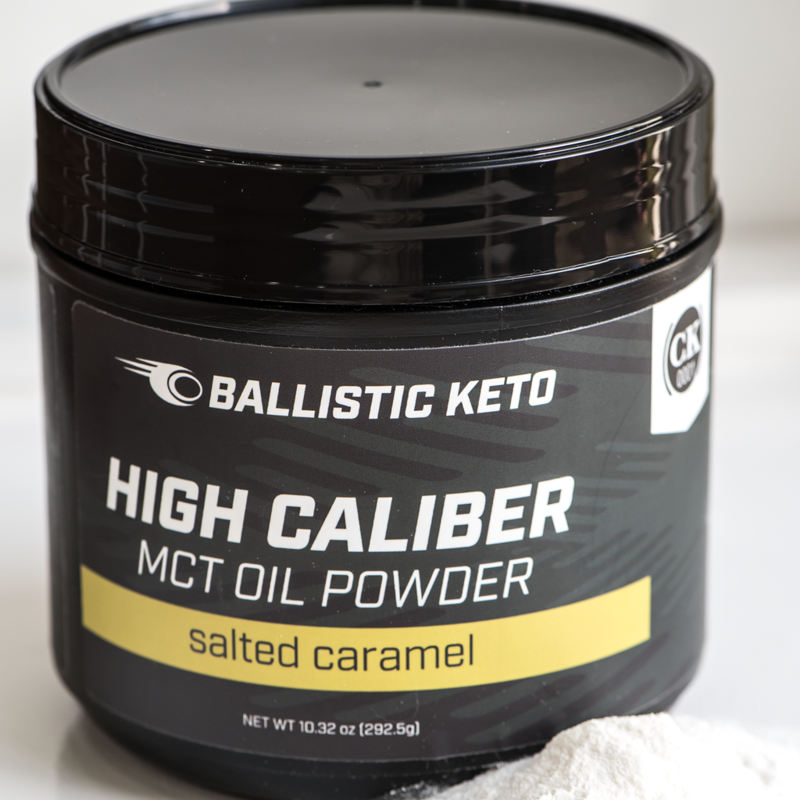 Electrolytes are a frequent topic of conversation, and a huge source of confusion in Ketogenic circles. Kimmi Katte is one of our fantastic Ketovangelist Lifestyle Coaches, as well as a Clinical Nutritionist in Australia, and over the next few weeks she will be addressing the various electrolytes, why we need them on keto, and where to start with supplementation. Take it away, Coach Kimmi! Why should we pay attention to sodium on a ketogenic diet? Sodium is a vital mineral in the body. This mineral is involved in many biochemical processes such as muscle contraction and return, fluid balance, active transport, proper bowel function, and nerve activation. Failure to replace its loss not only lowers the quality and effectiveness of those processes, it may also create a medical emergency. Why do we need more sodium on a Ketogenic protocol? When we are in a state of ketosis, insulin drops, and this causes our bodies to excrete sodium in the proper fashion, rather than holding onto excess as we do when we are sugar-burners (which is a common underlying cause of hypertension in modern Western diets). We also strive to eat very “clean,” which means we naturally excluded most, if not all of the highly processed foods that are the largest source of dietary salt in non-Ketogenic peoples. These factors mean that a Ketogenic person must be more vigilant about intentionally keeping their sodium at balanced levels. Because sodium is also vital to maintaining the proper balance and absorption of water, electrolytes, and other nutrients in your body, failure to adequately replace sodium may also create a situation of dehydration, low magnesium, low potassium, and other nutrients deficiencies. The more pronounced symptoms of low sodium tend to happen in the beginning stages of a ketogenic diet, and together they are commonly called the “keto flu,” but don’t be lulled into a suboptimal level of functioning by not paying attention to this mineral long term. For more experienced ketogenic folk, less pronounced versions of the above list of symptoms could be signs that your body wants more sodium. How to treat suspected low sodium. If you are ketogenic and experiencing any of these symptoms, try popping a quarter teaspoon of salt on your tongue and swallow with a glass of water. If you’re not feeling better within 20 minutes, you may want to seek medical attention. These symptoms can indicate a serious health condition, especially if they go on for any prolonged period of time, so please seek medical evaluation if you are concerned. The average Ketogenic body should begin with 4 grams sodium per day, which you can easily maintain by consuming 2 teaspoons salt (note, salt is not sodium, but contains sodium), and adjust consumption from there, as needed. The amount of sodium any Ketogenic person needs depends heavily on excretion via sweating and urine, blood volume, the amount of water we drink, medications, medical conditions, etc. It’s worth mentioning here that 4 grams would be the minimum rather than the maximum for most Ketogenic bodies. Many people take much more than 4 grams per day in order to feel awesome and function well. You can use any food tracker to get an idea of how much sodium you get in a day by plugging in how much salt you’re getting along with the amounts of salty foods you’re eating. How do I properly supplement sodium? Dietary sodium comes primarily from salt, but you can also consume some measure of this mineral by eating salty foods like olives, bacon and other cured meats, anchovies, dill pickles, and many other fermented vegetables. Some people like to use pink Himalayan salt to get their sodium, which is fine, but not imperative. Your cells really don’t care what colour your salt is, and the content of other minerals in pink Himalayan salt really is negligible in the scheme of things. Most ketogenic people like to use a combination of salty foods and adding salt to their meals in order to get their sodium for the day. However, if you are one of those people who needs more than 4 grams per day, you may need to pop some salt on your tongue through the course of the day and swallow it with a glass of water. If this is the way you’re going to get all your sodium, spread it out through the day rather than taking it all at once; your body will rebel if you do that! If you’re traveling, you may want to purchase some sodium tablets to bring with you. These are another, more convenient way of getting your sodium in. Just be mindful of the dosage and don’t take large doses at one time!